FlasKMPEG v0.78.39 free download. FlasKMPEG is a free easy to use video conversion software utility released under the GNU General Public License. Freesky video to MPEG is a tool created to meet all your needs of convert video file to MPEG Format. mpegable AVC will provide the next generation video compression quality to all applications supporting FlaskMPEG, VirtualDub, VfW like Windows Media Player and many more. Freesky video to AVI is a very useful tool created to help you convert video file to AVI Format. Freesky Video Joiner is a complete software created to help you join or merge multiple AVI, Divx, XviD, MPEG I/II, VCD, SVCD, DVD, VOB, DAT, ASF/WMV files into one large file in various format. 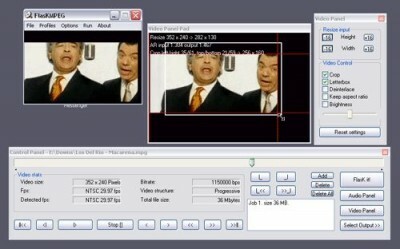 Freesky video to WMV is a freeware tool created to meet all your needs of convert video file to WMV Format.